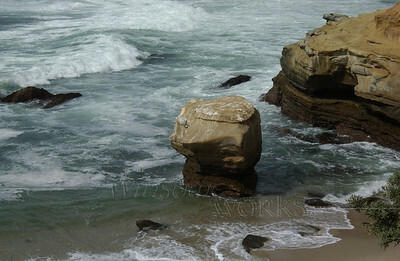 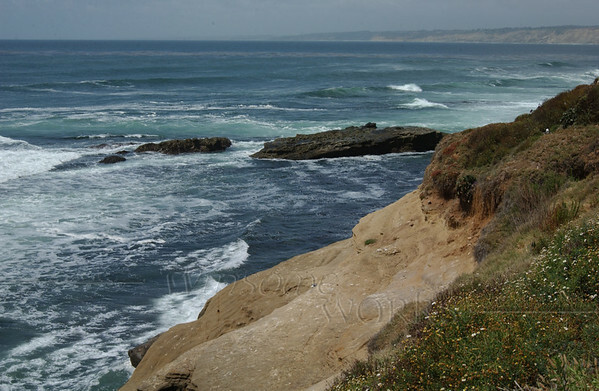 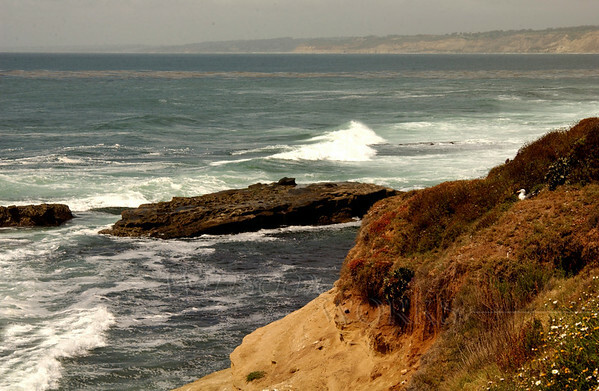 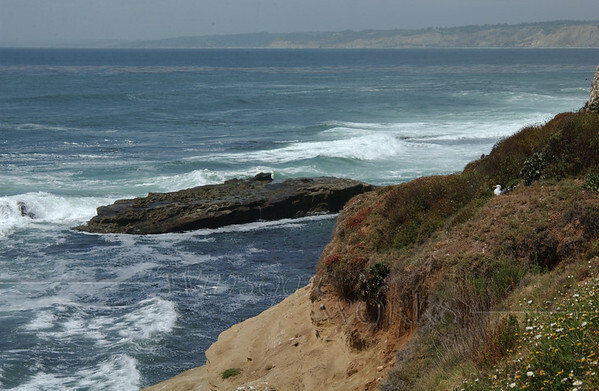 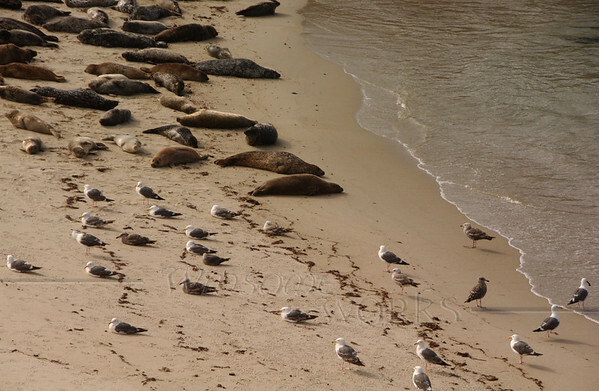 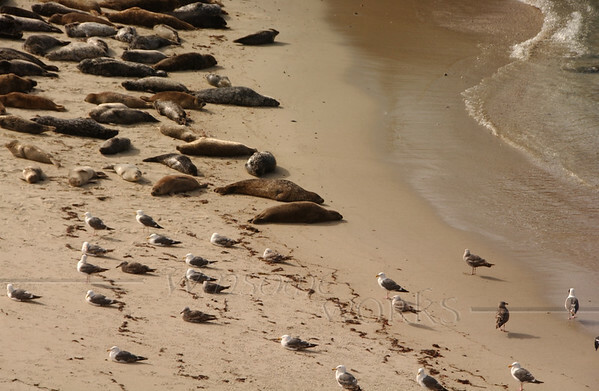 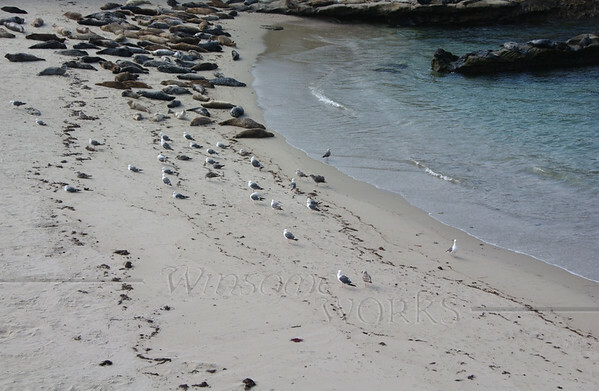 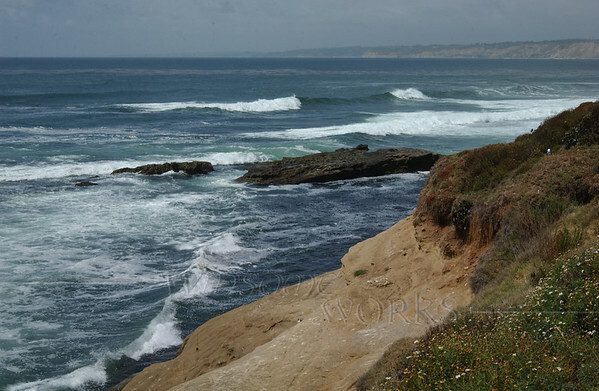 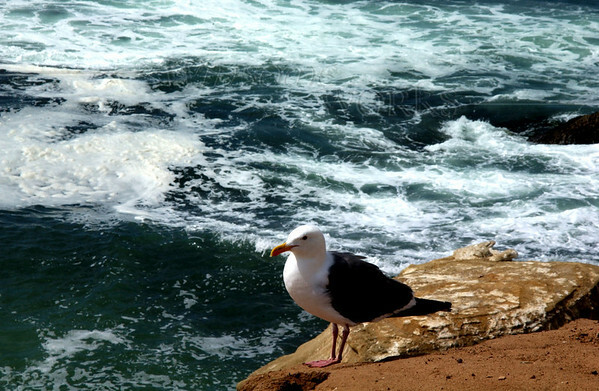 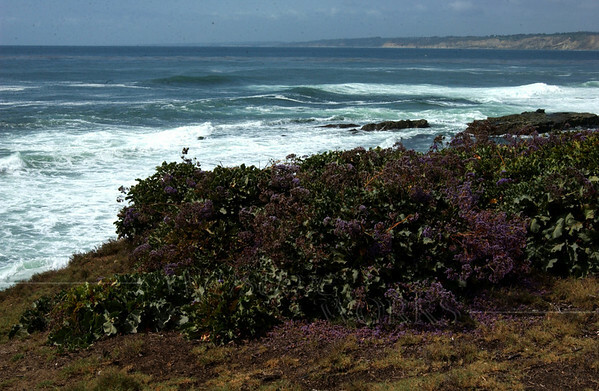 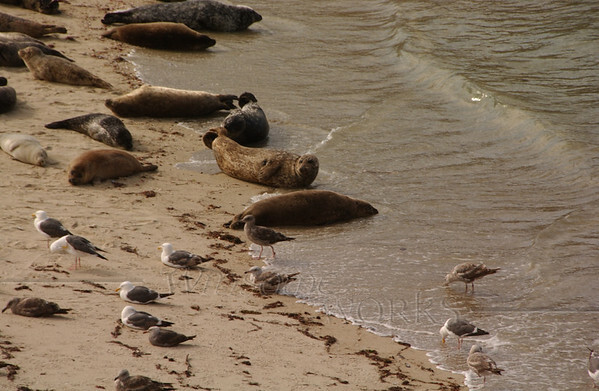 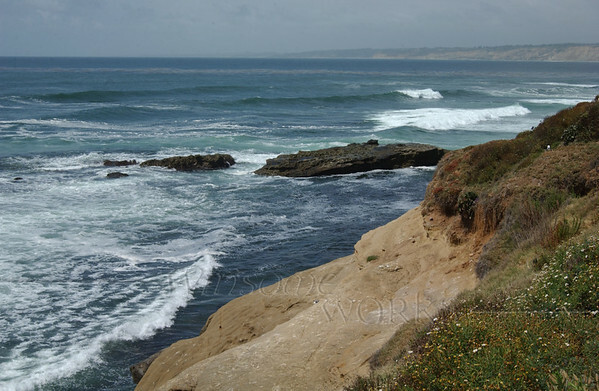 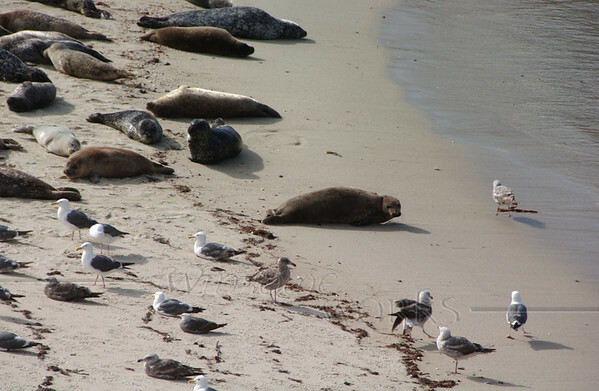 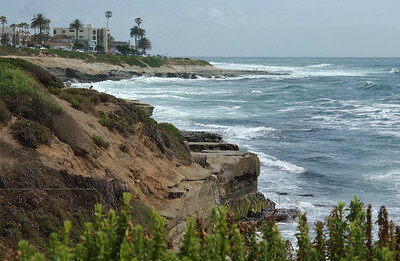 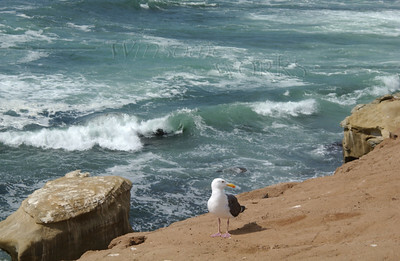 A mid-size coastal town just north of San Diego, La Jolla has a beautiful cove called Casa Beach where seals congregate. 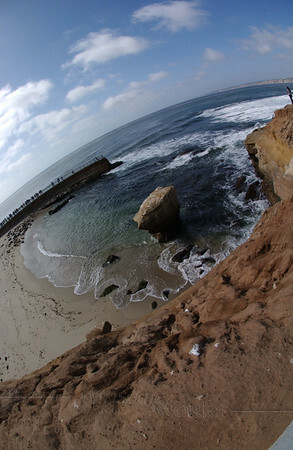 My brother Ivan let me play with his fish-eye lens! 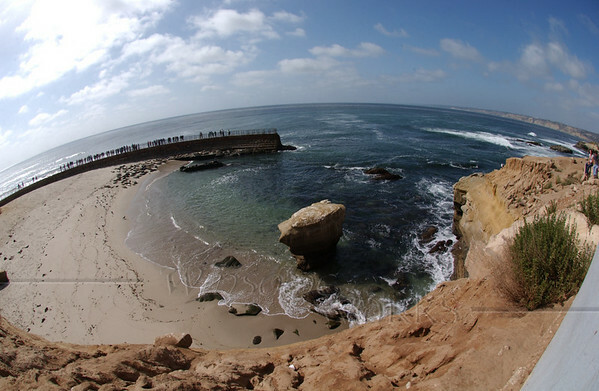 This captured the whole cove (Casa Beach)-- fun! 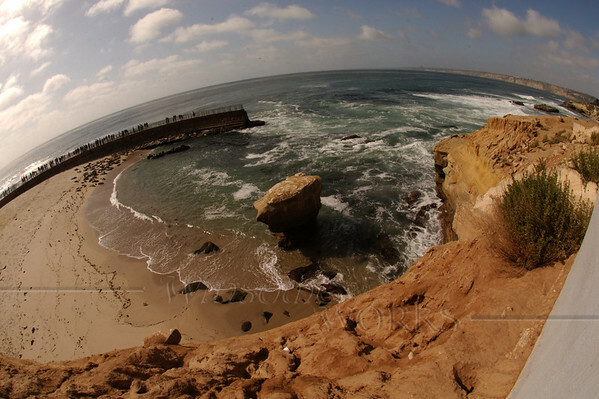 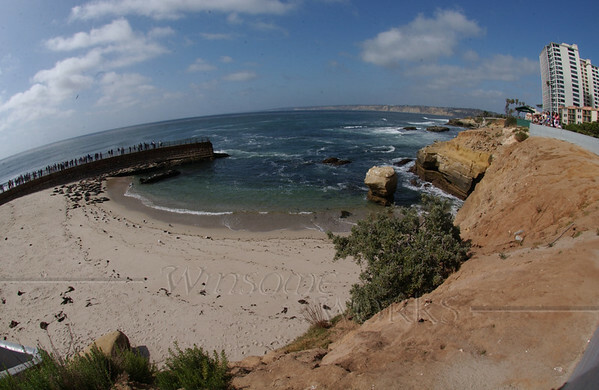 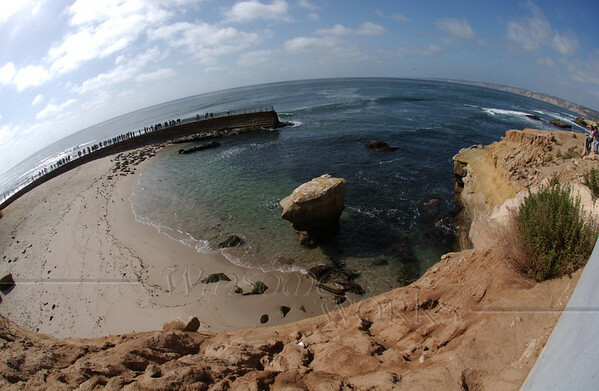 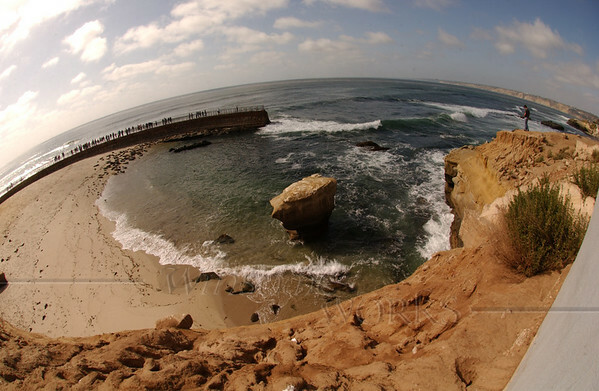 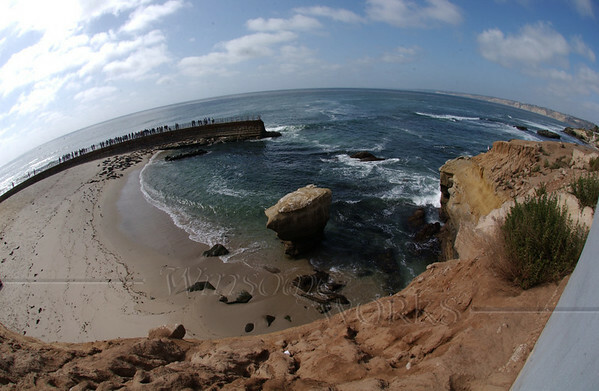 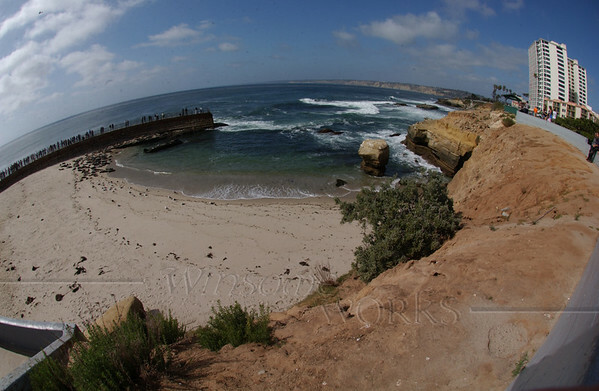 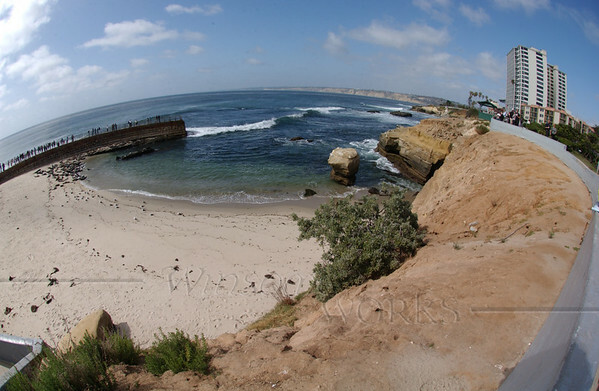 Tried out my brother's fish-eye lens -- shows La Jolla's Casa Beach in one view!